Lately I have been making extensive use of NFS on OpenVMS VAX coupled with Ubuntu Linux. Unfortunately, being on VAX means that there are no new versions of HP TCP/IP Service past V5.3 ECO4 and OpenVMS VAX V7.3 and its associated patches. This means that when you run into a problem, which doesn't happen too often, you're on your own. As luck would have it, this is exactly where I found myself with NFS. This issue is not just with the COPY command. It is just easy to demonstrate the problem in this way. Unfortunately, I discovered this problem after substantially editing a file and then trying to save it. As you can imagine, I lost everything. After discovering this I searched the 'net looking for someone who might have encountered the same situation. I also looked through reported problems in the release notes. However, it looks as though I might be the first to encounter this problem as I did not find anything. So I began investigating myself. I tried a lot of different adjustments to the TCPIP MOUNT command and could not find a solution where I could create files with a version higher than ;9. I could not find any indication of what exactly was wrong with the create. There were no error reports in any log file I could find and nothing sent to OPCOM. After spending way too much time messing around with this I decided I would try replacing the NFS client images installed on my system with those from V5.3 ECO3 (the only V5.3 kit I could find). Unfortunately the images in this kit had the same problem, so I went back further to the next latest kit, which was the V5.1 ECO5 patch kit. These worked! So, in case someone else encounters this unfortunate problem I have packed up the necessary images, which can be downloaded at the bottom of this post and the following inscructions can be used to install them. Begin by downloading the ZIP file containing the images and unpack them. This directory is referred to as SYS$DISK: in the example below. It's not a guarenteed fix (or even a very nice one). However, I have not had any further issues related to NFS when accessing an export served by dockmaster. I would like to hear whether it worked or not for others, so feel free to comment below. Teradactyl for their NFS image. Recently I purchased an Acer Iconia Tab A200 with the intention of using it as my primary travel computing device, relegating my Compaq CQ41 laptop to pretty much a desktop role. I had looked around to ensure that there would be adequate software to do most of the things I needed and believed I had most bases covered. The most important was network communications. I do most of my work on OpenVMS and Linux servers from a command line and needed a telnet utility as well as serial communication software for hooking up to routers and things. Initially I worked with ConnectBot and android-serial-api. Both reasonable, but not up to scratch for me. ConnectBot did not have decent keyboard support for my needs. Unfortunately the android-serial-api example application for basic serial comms is abismal. I needed something with a bit more. The first thing I did was get Android-Terminal-Emulator, an open source VT100 terminal emulator for Android. While it gave me access to the command line and full use of the keyboard, as well as the ability to see /dev/ttyUSB0, I still didn't have an application for going much further. That is when I started looking at C-Kermit. For years I have used the software on both OpenVMS and UNIX (and its derivatives). I've even written some clever scripts for collecting and archiving router configurations and other stuff. However, I had never delved too deeply into its internals. The most I had done with the source code was build it using the procedures provided. Given that it always seemed to just work, there never was any need to. So, after a bit of looking around I couldn't find an Android port and so I decided I'd develop one. The instructions below detail what is needed and how to build C-Kermit for Android as well as providing pre-built images. To build the Android version of kermit for all ABI's I define APP_ABI to all. However, this is not necessary if you are only building for your own device. You can drop this definition to pickup the default or you can define it for a specific ABI. As for installation, well I used ftp to download the kermit image to my tablet and used the following to install the image. I am assuming with the following instructions that the kermit archive has been downloaded from one of the links below. I must also point out that my tablet has been "rooted" and the following commands have been executed after assuming superuser access with the 'su' command. I have made sure that all of the commands above should work without having to install a shell other than the one that comes pre-installed, at least on the Acer release of Android 4.0.3 (Ice Cream Sandwich). If I am wrong, or there is a better way of doing it, then please feel free to comment below. The source code referenced in this blog can be found as a project at github, tesneddon/cka. 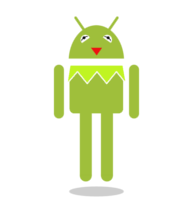 Please feel free to fork, comment and report issues related to C-Kermit on Android here. I have notified the maintained of C-Kermit, Frank Da Cruz, and hopefully these changes will be rolled into the official C-Kermit source code. I will post further updates on this to the comments of this post. A nightly snapshot of the source code, as well as pre-built binaries (linked above) can all be found here. 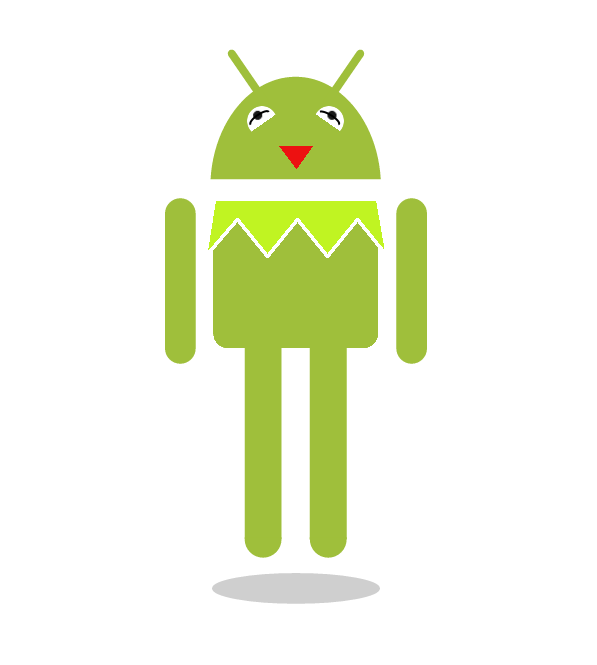 The "Kermit the Droid" image was developed via a screen shot taken from the Androidify app from Google and then edited with GIMP to match the likeness of everyone's favourite amphibian. 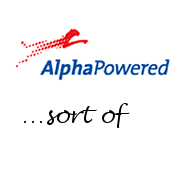 In the last month or so I have been involved in configuring an Alpha virtualisation solution for a client. They have an AlphaServer DS15A which they would like to move to an emulated CHARON-AXP DS10L. Until it came to configuring the network the whole process had been very simple and easy. However, once I started setting up the network interfaces I ran into plenty of trouble. After spending much time searching around the 'net and experimenting with the configuration I finally got something that worked. Unfortunately, finding all this information was not very straight forward (at least not to me) and hopefully everything I have documented here will save someone else stuck in the same situation. Charon-AXP needs its own adapter to support an emulated device. The best way to load the drivers and take control of the card is to use the Network Control Center utility that comes with the emulationg software. I used version 1.26. If you don't have it you can download it here. Use this utility to allocate a network adapter for exclusive use by Charon-AXP and remove all other extensions and protocols. I used a Broadcom NetXtreme II as well as another Broadcom card for the storage and network adapters for host system. Something worth noting is that the host network configuration was using LACP teaming. These drivers will show up as being active on all the network adapters on the host system. You can safely ignore this, it does not appear to affect the Charon-AXP emulation. The last thing that Network Control Center will do is to spit out a sample configuration snippet for the network adapter (similar to the one below). Use this only as a very rough guide. Trusting this output is partly what got me into trouble in the first place. You'll also notice the string "connection:EWA0" in there too. I renamed my network adapters to reflect their use by the Charon-AXP product. 1. NIC connection name (preferred). 2. NIC device name. WARNING: NIC device name may be duplicated! load ndis5_chpack_port/chnetwrk EWA0 interface="Broadcom BCM5709C NetXtre...#53"
If you are using a system that has built in ethernet, like a DS10L then you can ignore the line 'load DE500BA/dec21x4x EWA interface=EWA0'. The device EWA is already available as part of the default configuration. The next part, 'load ndis5_chpack_port/chnetwrk', is the tricky bit. There are a set of rules that determine the different driver names to be used. After reading through everything I could find I believe the following set of rules to be accurate, at least at the time of writing, and I request comments from anyone who finds different. Windows 2003(R2) or Windows XP, then use "ndis5_chpack_port/chnetwrk" for Charon-AXP Build 118-05 and higher. Windows 2008(R2) or Windows 7, then use "ndis6_chpack_port/chnetwrk" for Charon-AXP Build 118-05 and higher. Windows 2008(R2) of Windows 7 and Charon-AXP Build 129-04 is running as a virtual appliance then it is necessary to download a patch and follow these directions. any version of Windows and using Charon-AXP Build 129-04 and higher then use "packet_port/chnetwrk". any other system then check the documentation referenced at the bottom of this page. So, here is a copy of the network adapter configuration for the system I was working on, an AlphaServer DS10L with two builtin DE500 network adapters. You'll also notice in my snippet that I set the adapter_mode. According to the documentation I could find this has to be configured manually, as you see above. My experience has been that everything needs to be exactly the same. I configured the network adapter in Windows to be 100BaseT-FD as well as the switch port the system was plugged in to, not just in the configuration file. This is the only way I seemed to be able to get everything working reliably. Do not use autosense at all, it just doesn't seem to work. In my quest to get the network configuration working correctly I discovered a few problems and have included the symptoms and solutions below in the hope that I might give a pointer to someone already well down this path. I also discovered that although I could not get any traffic to move over the physical interface Charon-AXP was successfully changing the MAC address of the network card after DECnet started. So, ipconfig/all would report the new MAC address. The Cisco 2950 switch would also detect a change which would show up in the output of show mac-address-table briefly. The 'Bytes sent' counter would very slowly increase, but the 'Carrier check failures' would increment with astronomical speed. Without the adapter_mode attribute configured I would also notice that the Cisco switch port would auto-negotiate the link speed to be 100BaseT-FD, but that LANCP would report the connection as being 10BaseT-HD. This would cause multitudes of carrier and frame check errors to be reported to the console by DECnet. The content of this blog is based on my own personal experience and the following resources I managed to scour from around the 'net. Lastly, here is the Advanced Networking Guide. I did not find this until I was checking all my links and references before publishing this article. It would have been a big help at the time. For a long time the C Run-Time Library that ships with OpenVMS and the HP C compiler has been behind the curve. It usually takes a number of years to catch up with POSIX functionality, and in many cases it never catches up with GNU or *BSD extensions to the library. It took years to get an snprintf routine in the library, and then it was never backported to OpenVMS VAX or earlier versions of OpenVMS Alpha. Unfortunately [v]asprintf is no exception to this rule. The short version of this story is that I was poking around in some OpenBSD code and came across asprintf. Curious as to what this *printf variant did I checked out the man page and was pleasantly surprised to find it was a version of sprintf that dynamically allocated its storage. So, after some looking around I discovered that it was not available on OpenVMS (not that I was particularly shocked) and decided to implement my own. Of course, there are implementations around the 'net that I could probably hook up to sprintf, etc. However, there were a couple concerns that forced me to look elsewhere to solve this problem. The first was perfomance, and the second was that there may be issues with floating point representations and other output formats. It was important to me that this behaved just like the OpenVMS *printf routines. So, I started looking in the source listings. ** This global routine compiled only for narrow printf. ** for a file, think fprintf() and friends (0 for SPRINTF). ** provide context to the partial_printf routine. ** for error and 1 for success. ** this is actually returned in register R1. Next I had a look through the various libraries in SYS$LIBRARY: and found that this function was in fact publically available. So, I wrote my own implementation that supplied a partial_printf function that buffered the formatted output to a realloc'd buffer and returned it to the caller. The initial version of which only worked with G_Float format floating point numbers. After the additions of some #ifdef's based on the contents of [ACRTL]F_DORPINT.SRC the code now compiles correctly when compiling for all different floating point combinations. The code is shown below. Later on, after looking at some of the comments in the source listings it became clear that the *printf engine in use in the C Run-Time Library may have had its heritage in the the VAX C RTL. I checked this out and found that the VAX C routine was actually implemented in MACRO-32. However, the argument lists were almost the same, the only major difference being that the bytes_left parameter was actually returned in R1. So, after a couple quick changes, the end result was that this code will also work with versions of the VAX C RTL released after June 1986. The only thing that really surprises me about all this is that it took until February, 2003 to get [v]snprintf into the CRTL and that [v]asprintf was never implemented, when it is not really a very hard problem to solve. For each different combination of compilers and architectures, there is a different set of build instructions. Although these appear in the source module, they are also available below. When using the VAX C Run-Time Library and compiler, it is important to use the following compilation command as compiling without the /OPTIMIZE qualifier will cause the code to ACCVIO. The source code for [v]asprintf for OpenVMS can be downloaded here. If you are an OpenVMS engineer, feel free to take this code and add it to the C Run-Time Library. See the licensing comments below, it is all yours! 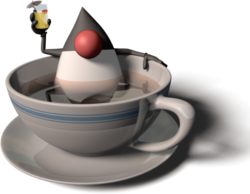 All the code mentioned in this blog post is released under an MIT-style license. There is no actual support, but I am generally happy to look into any discovered bugs. Beware, that given this code call into an undocumented and unsupported part of the CRTL, your particular issue may not be fixable. Only small, backward compatible changes have been made over the years, so the likelyhood of something going wrong and not being fixable is pretty small. The following resources were instrumental in the production of this blog post. lastly, OpenBSD for sparking my interest in this function in the first place! Does anyone remember that song, The Song That Never Ends? I remember it from the end credits of Lamb Chop's Play Along when I was a kid. That was the first thing I thought of when I heard of a quine. Although, a quine is a whole lot easier to tolerate! Of course, once I heard about these programs I started looking round for quines in my favourite languages. Of course there are plenty written in C. However, I was only able to come up with this one for PL/I. Unfortunately, according to the comments it will only compile using the OS PL/I V2.3.0 compiler with certain options set. Whatever the requirements, it wouldn't compile on OpenVMS. It also, erroneously, claims to be the smallest possible PL/I quine. So, in the spirit of innovation (at least that's what I'm going to call it), here is my contribution. It will compile straight out of the box using the Kednos PL/I compiler on VAX and Alpha. It may compile using other PL/I compilers. The BYTE built-in function is an extension to the ANSI General Purpose Subset (ANSI X3.74-1987 (R1998)) so it may not work everywhere. Although the documentation for the IBM compilers indicates they support it. The following is an expanded version to make it easier to understand what is going on. I should point out that this next sample is not a quine, it's just easier to read than the muddle of characters above. It works by storing most of the program as an initial value to the character string s. The only thing missing from this initial value is s itself and its surrounding quotes, which are inserted during execution with the concatenated input to PUT LIST. Ahh, don't ya just love a good ol' fashioned waste of time? For more mind-numbing quine madness have a look at these pages. 3.27 The VMS/L&T SIG Collection needs YOU! I have announced (even tweeted) a call for submissions for the next VMS/L&T SIG Collection. That's right. It's a collection now, not a tape. The last release was all the way back in Spring (for those in the Northern Hemisphere) 2007. A lot has happened since then. The collection has a new maintainer (me) and the historical archives have moved to the new DECUSLIBrary.COMpendium. The current plan is to have all submissions in by January 1st, 2010 with the "VMS/L&T SIG Collection 2009 H2" distribution ready for shipping by February 1st, 2010. I do intend to have the collections released half-yearly. Hopefully this release will make up for all those that have been missed. If you are interested in contributing, please head on over to the SIG Collection page and make a submission. You don't even have to be the author. If you see something useful drop me a line and I'll chase up the author and handle the packaging requirements. If you don't have any software to give and you still want to contribute, then maybe consider becoming a distribution point. The physical media is distributed by tree. So, the maintainer sends out a bunch of masters which are then copied and distributed to local (or at least semi-local) recipients. Although, in this day and age of broadband internet I imagine there won't be too many people looking for physical media. To give you an idea of what to expect in the 2009 H2 release, the following packages have already been fetched for inclusion. Please post more suggestions, whether it be below or at the SIG Collection page. The procedure below accepts the process id to look up in P1. If no process id is specified then, like all process related queries, it defaults to the current process. 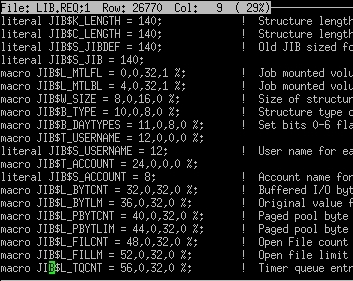 $ say = "write sys$output"
$ say "The job table for process ''p1' is LNM$JOB_''jibadr'"
By searching for the string 'JIB' the address is extracted and the job logical name table is determined. The following test demonstrates the procedure works correctly. 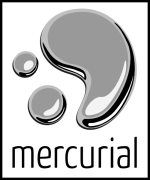 I have just completed configuring the Mercurial repositories that hold the open source software served by Kednos. It is now possible to use the hg client to fetch and build MMK (The Halls Of ZK and MX will follow very soon) from http://hg.kednos.com. The following demonstrates a successful clone of the MMK repository. Once Mercurial had been installed and was running correctly, I began work on setting up the webpage that can be seen at http://hg.kednos.com. To serve the Mercurial repository we use (as we do for all our web facing needs) WASD. After some searching round on the 'net I found a couple snippets of WASD configuration file here and here. So, using these as a base I began to fiddle around with our setup. MERCURIAL_HOME ddcu:[MERCURIAL.] ! Don't forget to put this one in SYLOGICALS.COM too. I ended up tweaking our version of hgcgiplus.com as we have a number of different version of OpenVMS running in our cluster. As a result of that we have three different PYRTE images. So, after a number of seemingly random HTTP 502 errors and some tinkering with WASD's WATCH facility I finally recalled what had been done for MoinMoin ( we used it before VWcms) and added in the pre-amble that picks up the correct image. So, with all the files in the right place and a fresh repository waiting to be filled I began configuring WASD. First up was the configuration of the service. I added the following two lines to HTTPD$SERVICE. That was no trouble, so now it's time to add the mapping rules to HTTPD$MAP, like so. This is a little more involved. The first couple lines ensure that all the static data references, like images and CSS for the template, are available. The next is a special rule added for the purpose of showing the Mercurial FastCGI procedure for this post. The next two lines ensures that the HTTP error message help pages all work correctly. Lastly, the line that allows everything to run. The final rule ensures that everything not matched by the preceding pass rules is treated as a query string to be processed by Mercurial. All path names are translated to the POSIX/UNIX format. According to the WASD PyRTE documentation the final line causes a 4x improvement in speed. Now that everything is configured I told WASD to re-read its configuration and show me what I had created. Voila! Now we have a working Mercurial repository. For the moment it is pull only. All modifications to the repository are handled locally. In the not to distant future I intend to get the push functionality up and running. When I do so, I'll post about that and how to configure the security necessary when providing the push facility. Now, wouldn't it be wonderful if it had been that easy? Of course this is the shortened version with everything in the correct order and neatly written out. I spent a while playing around trying to get things working changing configurations, putting them back again and so on. Hopefully everything above will save somone the hassle of figuring it out for themselves also. Did I miss anything? Post a comment below and let me know. So it's Friday and I feel like doing something a little fun although not really that useful. Yesterday I made a crack about getting TECO running in a Common Gateway Interface environment. Well, that's exactly what I decided to do. What follows is a set of basic instructions for getting your favourite editor/language up and running as a CGI handler on OpenVMS using the WASD web server. First things first. The WASD_CONFIG_GLOBAL (or HTTPD$CONFIG in the pre-v10.0.0 releases) file needs a tweak to add support for the TECO interpreter. The snippet below shows how to tell WASD what to do when it encounters a file ending in .TEC. It is sufficient to simply use the command $ HTTPD/DO=RESTART to make this active. Now, drop a procedure (like TECO_RULES.TEC) in CGI-BIN: and point your browser at the right address. 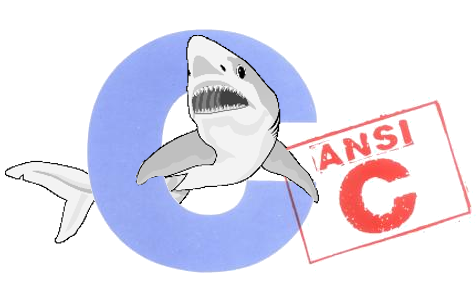 In the case of this example it is http://www.endlesssoftwaresolutions.com.au/cgi-bin/teco_rules.tec. This will leave the value of the REQUEST_METHOD in the file buffer register *. For POST requests it is necessary to retrieve the POST data from the HTTP$INPUT stream. This can be opened and read just like a regular file using ER and the various Yank commands. The last thing to remember is that TECO CGI procedures, just like regular MUNG'd procedures, have some simple requirements. The procedure must close the indirect input (like so, @EI%%) and terminate the file with ^C^C<ESC><ESC>. In the case of the second ^C (as with the <ESC>s) it must be a literal ASCII 0x03. The following links may prove useful to anyone interested in writing some CGI TECO. This Endless Software Solutions website, is maintained using the web content management system, VWcms (pronounced vee-dub). VWcms is a software packaged developed and maintained by Mark Daniel, the author of the WASD web server software. The software is of an excellent standard and Mark's support has always been great. Recently I was putting together an upcoming blog entry that makes rather extensive use of the $$IF$$ substiution control directive. VWcms seemed to have a problem with executing the code snippet below correctly. According to the manual this snippet should test for the pressence of the CGI variable TEST and succeed if it was not present, which it didn't seem to be doing. So, out of interest as to how VWcms works I decided to have a go at investigating and fixing it myself. After some fiddling around I discovered that the value for the CGI variable TEST would default to an empty string. So, even when the variable was not present in the URL it would always appear as if it had, just without a value. I corrected this and it is now possible to test for the presence of a CGI variable as decribed by the documentation. While fiddling around in this code I decided that it might be a good idea to add support for some other operators to the "cgi=" parameter. In the official release it is only possible to specify "=" which actually performs a substring match rather than a test for equality. For example, the following piece of code will match when INDEX is both "1" and "11". *All comparisons are case insensitive. Lastly, on Mark's suggestion I also applied a call to CgiLibHtmlDeEntify() to the code that matches the login= and rss= tests also. This call ensures that all "entified" text (i.e. &lt; and others) is converted to regular text. I have constructed a patch based on the V0.94 release of VWcms. A while back there were some posts on comp.os.vms regarding the history of Digital Equipment Corporation like, "Dave Cutler, Prism, DEC, Microsoft, etc." This particular post covered most of the DEC userland mythology. As usual though it is more than a little Lite on the facts. Thankfully, this post has nothing to do with PRISM, Dave Cutler or all the other conspiracy theories. My gripe was with some comments regarding the history of BLISS. Those of you that know me will probably know that I have a sad, warped affection for the BLISS language. So, after responding to that particular post I decided to knock up a family tree/timeline of BLISS. It is much the same design as the UNIX family tree that can be found in "The Design and Implementation of the 4.4BSD Operating System". The timeline does not show product version releases, just when the first version of that particular compiler became available. To find out what each variant did, what it targeted and where it ran, hover over the name with the mouse cursor. BLISS-10 is the original BLISS compiler created at CMU by Wulf, et. al. This compiler generated native PDP-10 objects from the BLISS-10 language. BLISS-605 was a compiler for the Honeywell 6000. This was essentially BLISS-10 with a special linker that converted the TOPS-10 object to GCOS format. BLISS-11 is the subject of "The Design of an Optimizing Compiler". The BLISS-11 compiler was a cross-compiler that ran on the PDP-10 and produced PDP-11 objects. BLISS-32 targeted the Common BLISS language to the (at the time) new VAX-11 architecture. It was originally a cross-compiler hosted on the PDP-10 that generated VAX objects. A native variant was soon developed. This was the first Common BLISS compiler that generated object code. BLISS-36C is a compiler that accepts Common BLISS and produces BLISS-10 source which is then compiled by the BLISS-10 compiler to generate object. BLISS-16C is a Common BLISS cross-compiler hosted on the PDP-10 that generated BLISS-11 source and then invoked the BLISS-11 compiler to generate PDP-11 objects. BLISS-36 is a Common BLISS compiler that generates PDP-10 object code natively. BLISS-16 is a Common BLISS compiler that was hosted on both the PDP-10 and VAX-11 systems producing PDP-11 object code. It did not receive much attention on the PDP-10 and enjoyed most use on the VAX-11 which also supported the PDP-11 compatability mode. Micro-BLISS was an attempt to create a PDP-11 native BLISS-16 compiler. Although it did work, unfortunately the PDP-11 did not offer the address space necessary and many features were left out. This compiler did not enjoy much use. BLISS-32P was a compiler that targeted the cancelled PRISM architecture. This was also the first GEM-based compiler. All new BLISS compilers developed following this milestone all used the GEM backend. BLISS-32M targeted the MIPS architecture. This variant was a VAX hosted cross-compiler. This compiler did not get a lot of use. It was created to allow the Ada and FORTRAN compilers to be ported to MIPS. DECSIM was a special VAX hosted cross-compiler that targeted DECSIM, the Alpha processor simulator. BLISS-32E is a VAX hosted cross-compiler that targets the 32-bit OpenVMS Alpha environment. BLISS-64AW was a Windows NT Alpha targeted 64-bit cross-compiler. BLISS-32AO was an OpenVMS VAX hosted cross-compiler targeting the Tru64 taso environment. BLISS-32EN is a native OpenVMS Alpha compiler generating mixed 32/64-bit objects. BLISS-32AW is an OpenVMS VAX hosted cross-compiler targeting the Windows NT Alpha environment. BLISS-32IW was an OpenVMS VAX hosted compiler targeting the Intel IA-32 architecture running Windows 95 and NT. This compiler only supported those BLISS features necessary to get a working Windows-based Fortran 90 product. BLISS-64AON is the native Tru64 variant of the BLISS-64AO cross-compiler. BLISS-64AWN was the native Windows NT Alpha variant of the BLISS-64AW. BLISS-32AON is the Tru64 native variant of the BLISS-32AO cross-compiler. BLISS-32AWN is the Windows NT Alpha native variant of the BLISS-32AW cross-compiler. BLISS-32IWN is the native Windows variant of the BLISS-32IW cross-compiler. BLISS-64ANAU was a compiler targeting the unreleased Alpha-based Tandem/NonStop systems. BLISS-64AT was an Alpha Linux compiler used to port the GEM-based FORTRAN 90, C and C++ compilers. BLISS-64EN is a native OpenVMS Alpha compiler generating clean 64-bit objects. BLISS-64I is an OpenVMS Alpha hosted cross-compiler generating objects for OpenVMS I64. BLISS-64IN is a native OpenVMS I64 variant of the BLISS-64I cross-compiler. BLISS-32IN is a native OpenVMS I64 variant of the BLISS-32I cross-compiler. This article has been composed of information gathered from the BLISS source code library history and the articles listed below. R. F. Brender, "Generation of BLISSes," in IEEE Transactions on Software Engineering, vol. SE-6, Nov. 1980. M. K. McKusik, K. Bostic, M. J. Karels, J. S. Quaterman, "The Design and Implementation of the 4.4BSD Operating System". Addison-Wesley, 1996. The GIMP was used to size, crop and make the image transparent. Yesterday, at 21:52 UTC I had the pleasure of watching the Soyuz TMA-17 spacecraft lauch from Baikonour Cosmodrome in Kazakhstan. This is the first time I have watched a Soyuz launch. It is also the second time I have watched a space craft launch via the streaming video feed offered by NASA TV. To cap it all off, later that night my eldest son and I watched the International Space Station fly by. To make the night complete we also caught sight of a shooting star. It was quite an exciting day for me, as far as space travel goes. While watching the launch I made a few screen grabs with my SnagIt "camera". They may not be the best quality (there are loads of high-resolution pictures around the 'net), but they are the only ones I could take (given my Olympus just doesn't have that kind of range). Lastly, I spent some time looking around for Soyuz TMA-17 flight path information as I was hoping to see it also. I eventually came across a Java applet at the Russian Mission Control Centre that gave tracking information here. After some playing around I discovered that it could display other things too, so I setup my own tracking page that enables these here. The following are a collection of links related to the Soyuz TMA-17 mission. Astronauts TJ Creamer (@Astro_TJ) and Soichi Noguchi (@Astro_Soichi) are on Twitter. All tweets by astronauts are retweeted by @NASA_Astronauts. 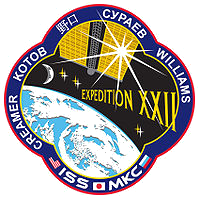 The Expedition 22 mission page at NASA. Wikipedia entries for TMA-17, Expedition 22 and the Soyuz spacecraft. I would like to thank NASA and the Russian Federal Space Agency for their live coverage via NASA TV. Space enthusiasts are scattered all over the world and while all the noise is usually made in Florida or Baikonour, NASA TV ensures that the rest of the world can hear and see it when it happens.